Nephritc Diet. 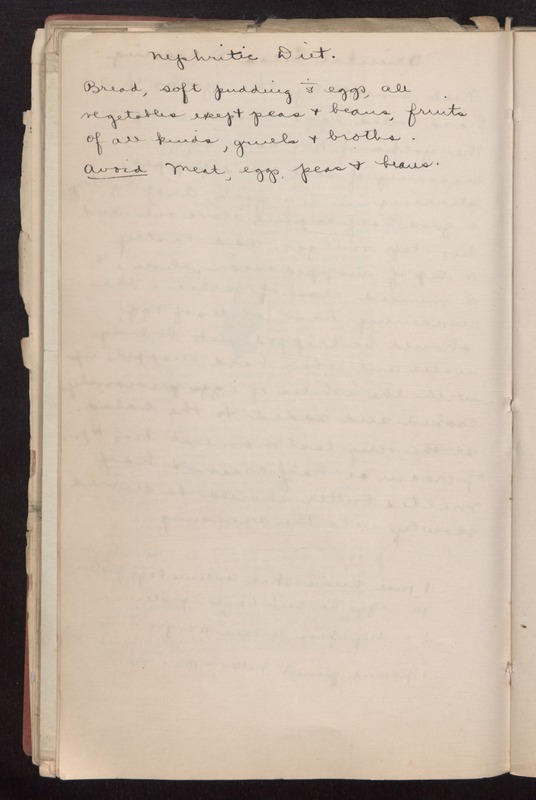 Bread, soft pudding [without] eggs, all vegetables except peas & beans, fruits of all kinds, gruels & broths. avoid meat, eggs, peas & beans.